You can still make tons of money selling accessories on eBay if you focus on less commonly targeted items instead just iPhones and iPads. There are plenty of mad people — including me — who will purchase every available accessory for their prized gadgets, and the market for some accessories is far from saturated. I’m continuing my series on eBay business models today with a look at less-than-obvious niches in the accessories category. I want to encourage you to think outside the box and look for undiscovered product categories that others aren’t bothering to explore. There are already plenty of people selling iPhone cases, chargers and USB cables on eBay, don’t you think? For most entrepreneurs, the biggest problem is learning to think outside the box so they can look for undiscovered niches. Many people try to sell mainstream items and then wonder why they can’t make any money on eBay. Competition is too high and the established players have already gobbled up a big share of the market for those super-hot and ultra-popular items. It’s almost impossible for a newbie to make any profit in those categories. Take, for example, jewellery. Did you know that the jewellery niche on eBay has just a 10 percent sell-through rate? That means only one of 10 listings is successful. If you have watched my Easy Auction Business video course, you know that I recommend working with items that have at least a 50 percent sell-through rate. On eBay, the jewellery category as well as listings for iPhone cases, USB cables and all the other small bits and pieces related to iPhones are already oversaturated. Competition is extreme, plus loads of sellers sell below cost to get new customers, build their feedback scores and clear out old stock. Why on earth you would want to work in a niche like this? I’m sure there are some profitable iPhone accessories out there that people are making a killing selling, but chances are good that you haven’t found one if you’re reading this post rather than fulfilling orders. Accessories can still be very profitable, however, if you think outside the box and look for more profitable niches than iPhone or iPad users. The case is made in the UK and cost me £170. The keyboard itself was priced at £1600, but I also spent about the same amount on all kinds of accessories like a stand, a case, mics, speakers, a mic case, a case for the cables and several other things. Don’t you wish you had a customer like me? Don’t you wish you were serving a niche like that one? High Demand. There’s GREAT demand for all kinds of accessories. Most products these days can be accessorized in some way, but accessories are especially popular with gadgets, industry-specific machinery, hobby items and other speciality devices. Almost every item sold either has an array of accessories available or should have. High Profit Margins. Just as with the first eBay business concept I explored, spare parts, profit margins for accessories are very solid. 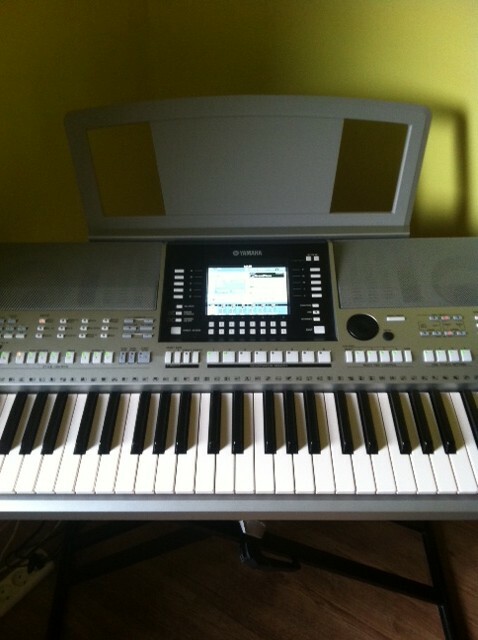 My Yamaha PSR 910, for example, is an expensive item, but the sellers probably only make about 10 percent on the price. Plus, they have the expense and hassle of becoming an authorized Yamaha distributor in the first place. 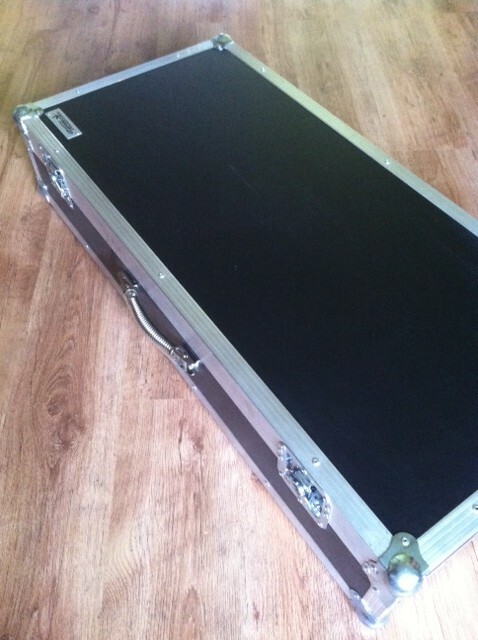 But what about the flight case I purchased? At £170, it’s not cheap, but since it was made in-house I’m sure the seller made at least a 30 to 50 percent profit on my purchase. Branding Isn’t Crucial. While I definitely wouldn’t purchase an unbranded keyboard station — surely they don’t exist, do they? — I’m not that fussy about the case as long as it fits my needs and the quality is there. The same is true for the keyboard stand. An original Yamaha stand costs about £300, but I got mine for just 30 quid. It does exactly the same job for a fraction of cost. See what I mean? You can sell unbranded accessories for branded goods and get healthy profit margins, even on eBay. That’s a HUGE advantage for you. Create Your Own Branding. You can also create your own brand and sell items under your name. The best part is that you can choose your market segment and offer a high-end, expensive brand or a cheap, affordable one. The thing is, with accessories there are very few well-known brands to dominate market, so you can effectively create the illusion that your brand is a market leader in a particular sector.Why does this work? If we talk about smart phones, for example, most people can instantly name Apple, Samsung, Nokia and other major brands. But if you ask them about accessories, would they be able to name any well-known accessory seller? Probably not, because in most cases there aren‘t any. You can use this fact to your advantage by creating your own brand in the market and positioning yourself as an industry expert. Low Start-Up Capital. This business model is perfect for people with limited buying power as you can start really small, start selling something very cheap and build your business from there. Surely, you would need thousands of pounds to import beauty trolleys from China, but it takes just £100 or so to start selling sewing machine accessories even if you import them. I really can’t find any disadvantages to this business model. Keep in mind that you should always monitor your stock levels closely as you don’t want to run into a situation where you have a large stock of accessories for an outdated item. Fortunately, though, sales of accessories decrease slowly as an item becomes obsolete, so you’ll probably see when you shouldn’t continue to restock a particular item. As I said in the beginning of this post, they key to success with this business model is to think outside the box, get creative and find those hidden niches. You might even be able to come up with a new range of accessories no one else is selling. Whatever you do, avoid iPhone cases and similar items as competition is extreme in these niches. But you already knew that, right? Goggles and face masks for Airsoft players. Being an avid Airsoft player myself, I have spent a fortune on Airsoft-related accessories. 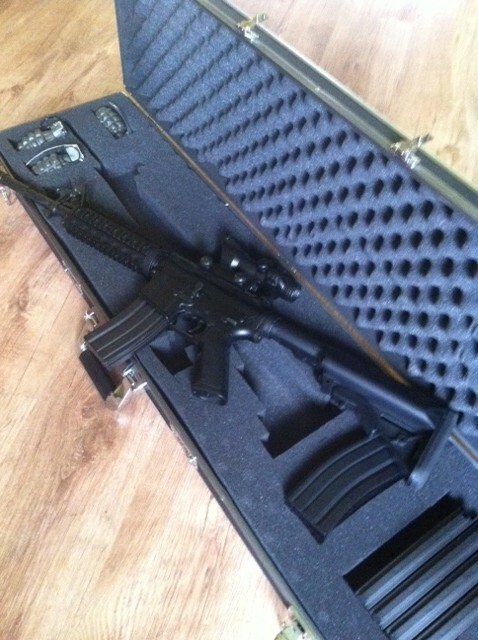 And while I purchased my gun (Tokiyo Marui Sopmod M4) from an online retail shop, most accessories I buy from eBay. BBQ tools. Again, there are loads of products you can sell to grill addicts! Starting from towel holders and ending up with grill covers, heat-resistant gloves and weather-resistant pepper grinders. You can still make money in this niche WITHOUT selling bulky grills themselves. 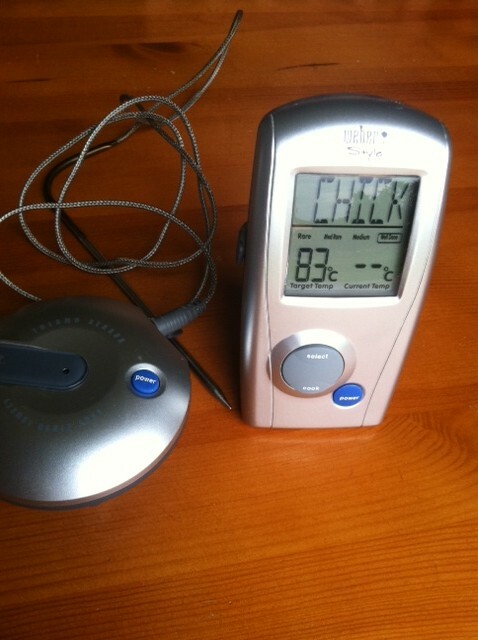 Grill thermometer – I use this to monitor temperature when grilling whole chickens. Sauna accessories. These include buckets, thermometers, fragrances, towels, clocks and more. This is a niche with passionate customers! And what more can you ask for than a customer who is eager to purchase every accessory available to enhance their sauna experience? 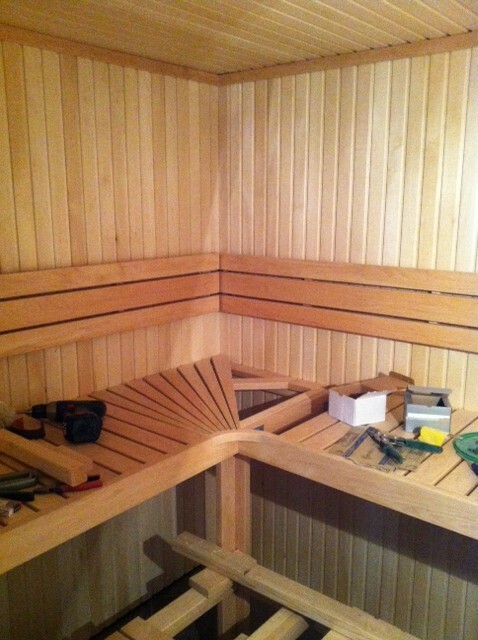 I’m in a active buying mood and looking for some accessories for my new Sauna! These are just a few examples, all taken based on my own purchases. You can find many more by doing some research on eBay, Amazon and Google. Just pick a product and add keywords like “case”, “stand” or “accessories” to see what items are already selling. Also, check Google Keyword Tool to see how many people are searching for the item. It could be a product in high demand that no one is selling. With most of these accessories, China is the place to go to get the lowest possible prices. Alibaba.com and GlobalSources.com are both good places to start your search for suppliers. If you can take on a bit more responsibility, you should also seriously consider manufacturing your chosen accessories in the UK — like the maker of my keyboard case did. Or maybe you’d rather manufacture them in China under your own brand. Either way, the more effort you put into creating a high quality & UNIQUE product, the more money you’ll make. I hope this post once again proves that you can still make tons of money on eBay. You just have to be creative, diligent and determined. When you find an untapped market, the profits will find you. Cheers Alex, great to hear that! interesting, makes the sense, it is a lovely idea, to help people to make money . you are really an intelligent business man. Great post Andrew, really interesting. Keep up the good work mate.